I referred my husband’s daughter to Glen, when she was buying her first new car. She had researched the purchase of a Prius on line, but when she met Glen, he helped her sort through some different options, and in the end he was invaluable. He was kind, patient, knowledgeable and low key. Glen has a great sense of humor and made the whole process fun. I highly recommend Glen to anyone looking to purchase a Toyota. 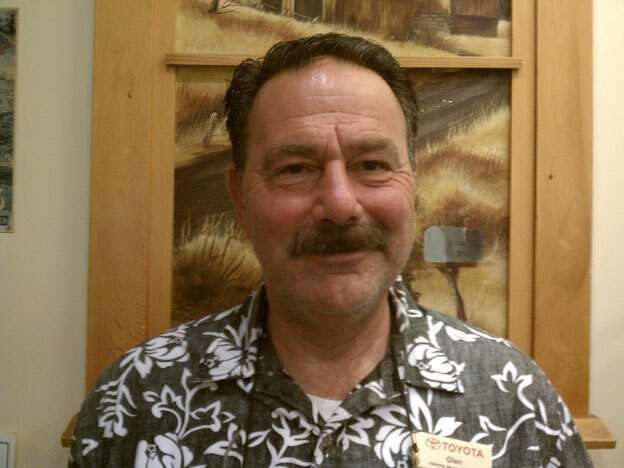 Toyota of Santa Cruz is the place to buy your car!! Besides a stellar product that will give you years of service and pleasure, doing business with Toyota Santa Cruz is seamless!! You will feel comfortable from the minute that you step on to the lot until you drive away in your new vehicle, the experience will be stellar. You are in good hands with Glen.